Ceviche is a way to prepare fish raw. It consists of marinating the fish in lemon juice with the addition of oriental flavours that dominate the dish with its aroma. 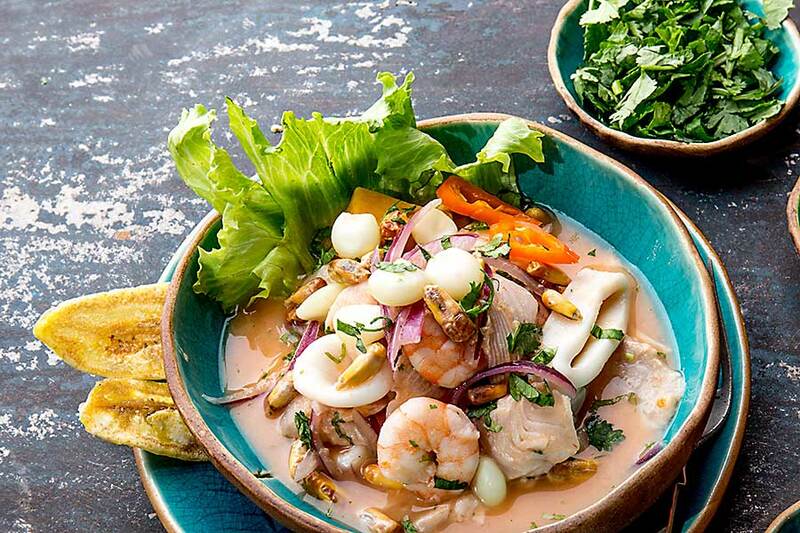 Ceviche dish is made of fish, prawns or other seafood. The essential ingredient is enriched with onions and hot peppers. Preparing the perfect ceviche may seem easy, but you really need a lot of skills and knowledge to make the dish come out exactly as prescribed. Above all, choosing the right fish is extremely important. It must be a sea fish – freshwater fish are not suitable for preparing a dish at all. For the preparation of ceviche, cod, sea bass, salt or salmon are most often used. It must also be a fresh fish because frozen does not allow you to get the right taste and delicacy. 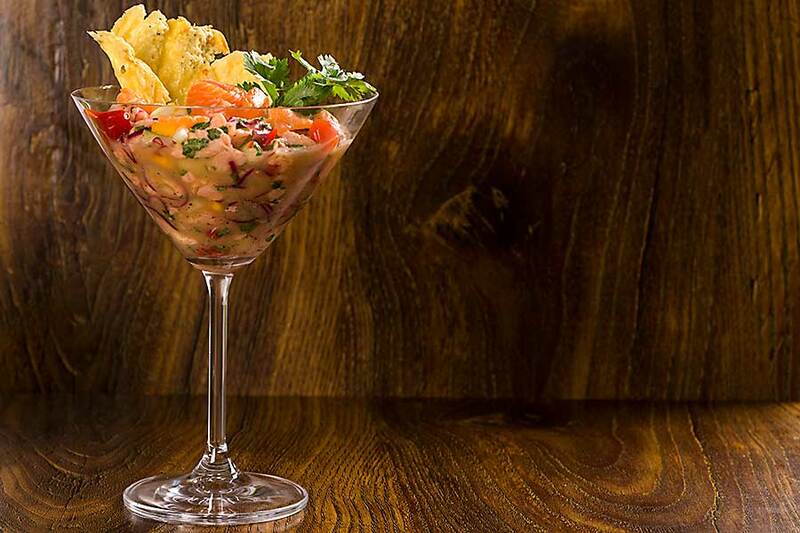 Ceviche is served with appetizers such as avocado, corn, sweet potatoes or lettuce – generally with those that have a slightly sweet taste. These ingredients can also be added directly to the dish. Ceviche should be prepared just before serving. The longer it is stored, the more it loses its quality. Rule No. 1 – Fish selection The selection of fish for ceviche is quite important, the most suitable for this purpose are sea fish because they are the healthiest, and their meat is of the highest quality. Freshwater fish are not suitable. The most commonly used and most popular ceviche fish are salmon, tuna, cod, snapper, sole, sea bass. Rule number 3 – Store fish in a very cool place. Keep it in a very cool place, preferably in ice cubes. The fish likes these storage conditions very much. The basic mistake that sometimes is made is the storage of fish only in the refrigerator. It is worth adding some ice cubes to the bowl. Rule No. 4 – It is necessary to clean the fish well. If you are already preparing fish for ceviche, then sharpen the knife well at the beginning, so you will not hurt the meat or we will break it and it will be easier to handle it. If you buy fillets with skin, you must skin them. In addition to skins, you should also cut off all hypertrophy and blood residues. Rule No. 5 – Cut everything thoroughly Ceviche fits in perfectly with the various accessories. It is thanks to them that it gets its unique taste, but we must remember that all ingredients are cut into small cubes. We cut not only fish but also ingredients such as paprika, avocado etc. What is to be found in the marinade is at our discretion. This rule will help us eat comfortably. Rule No. 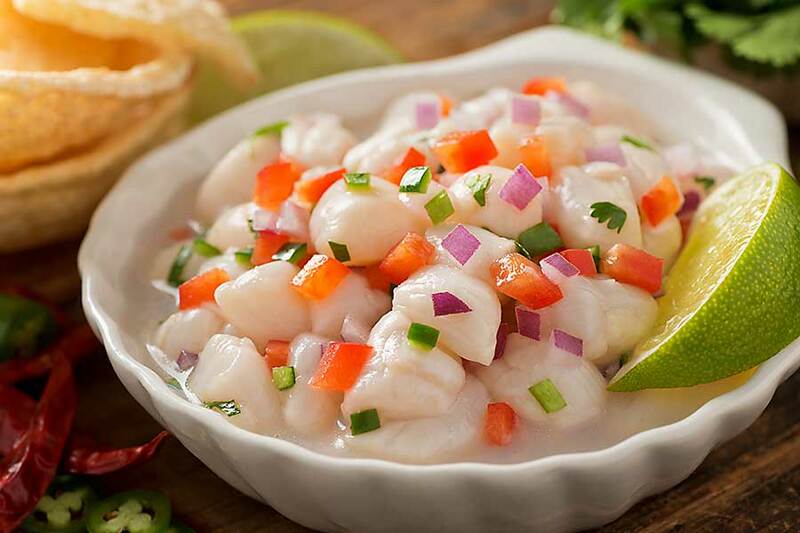 6 – Marinating ceviche is called cooking fish cold using citrus juice, among others in lime juice and lemon. Marinating causes fish meat to become white and fragile. In addition, marinating affects the taste of the fish. Marinating the fish should take about 10-20 minutes, although it can be longer. The time of “cold cooking” depends largely on the size of the pieces of fish. The smaller the cheese, the longer you marinate, the larger the pieces, the longer, because the juice must penetrate deep into the fish. The pieces of fish should be the same size, then they will be even If, however, we marinate too shortly, under this time, unfortunately, but the fish will still be raw. It is worth taking a piece of marinated fish and cut in half, then we will see if it is white inside, if so, the fish is ready to eat. Rule No. 7 – Maintaining the proportion of juice vs. fish It is very important to maintain the right proportions of lime juice in relation to the amount of meat, let us remember that there must be enough acid in the citrus that penetrates the fish meat sufficiently. for “boiling” the fish. Such appropriate proportions are: for about 500 grams of fish there are about 150 ml of juice. Rule No. 8 – Time of administration A very important element is the time to prepare ceviche. You should not prepare the dishes too early. It should be prepared practically just before serving. It is important to plan the preparation time carefully enough so that the fish does not stay too long in the marinade. Remember that mixing the other ingredients/additions is also very important. They should not lie too long with the fish. Everything should preserve the appropriate crunchiness and freshness. All ingredients are best kept separately from the fish and it is best to mix with all the ingredients just before serving on the table.